A quick update. One of my students from an on-line class who lives near the area was kind enough to send me a t-shirt from Pikes Peak Brewing Company. Thanks Char. Now I can proudly rep Pikes Peak Brewing Company. 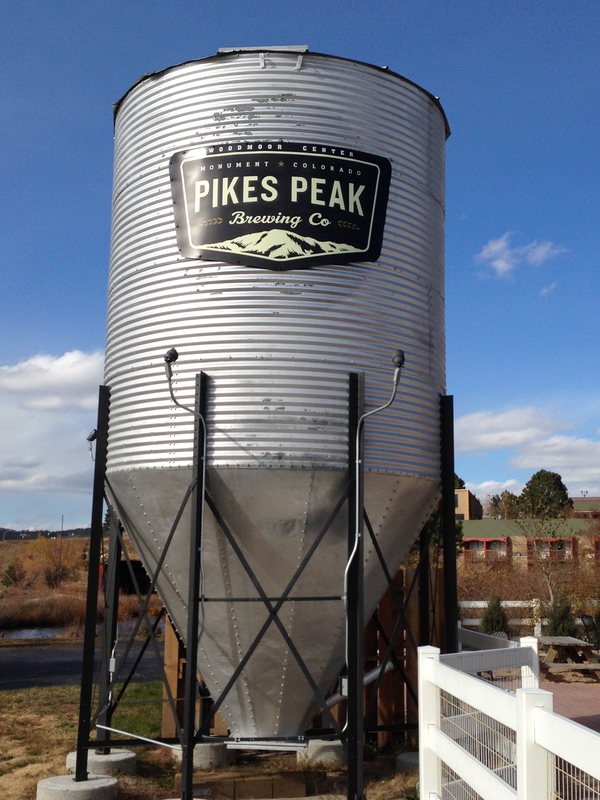 I stopped in at Pikes Peak Brewing Company in Monument, Colorado. The taproom is a really cool place. The wood inside lends to the local feel. I enjoyed the authentic German braided pretzels with my beer, which were very tasty. I started by trying the Devils Head Red Ale which is a malty and caramelly ale with a nice red color. Then I tried the Elephant Rock IPA which has a delicious piny and citrusy flavor. Good food and good beer. I enjoyed both beers so much that I brought a four-pack of the IPA home for myself and I brought a four-pack of the red ale home for a good friend who likes red ales.